A female graduate student of University of KwaZulu-Natal , South Africa was seen doing push-ups before receiving her certificate at her graduation ceremony. Gistvic Reports. 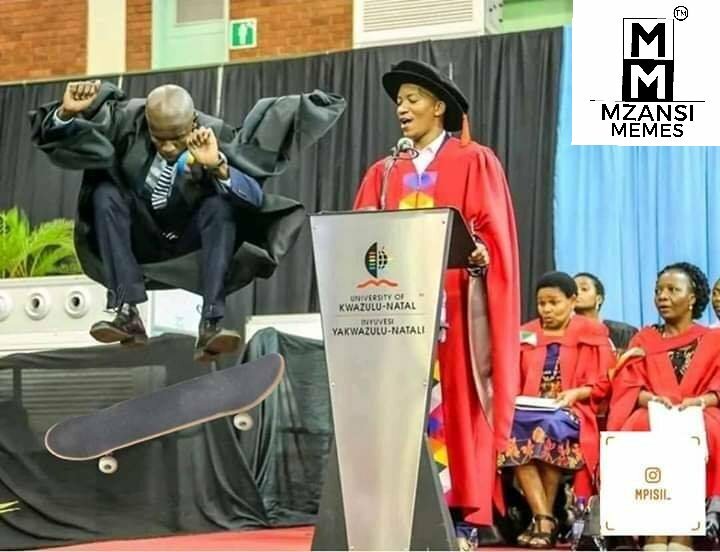 It was reported that University of KwaZulu-Natal, South Africa allows unnecessary shenanigans on stage during graduation ceremonies. Some other graduates were also seen doing some crazy things on the graduation ceremony. Gistvic Reports.